Many employees aren’t fully aware of their rights. Qualified law tutors can help you learn about the finer points of United Kingdom labour laws. 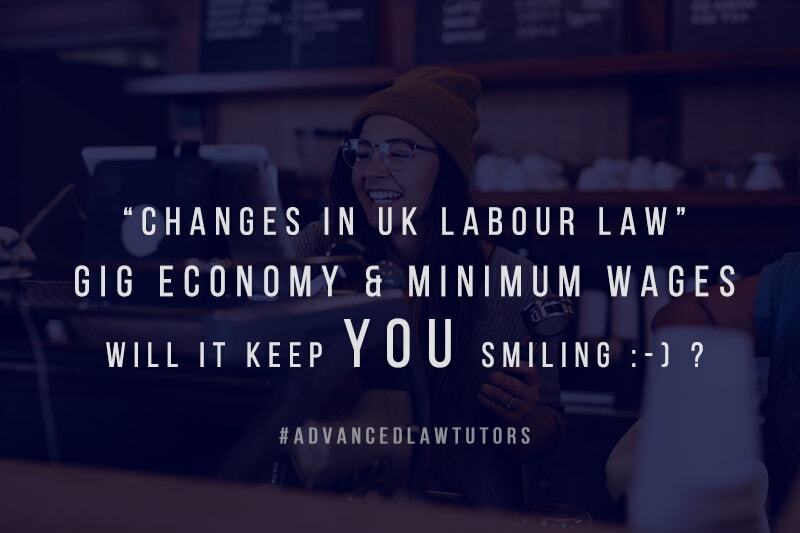 A law tutor London can specifically help you understand how The UK labour laws are changing. 700,000 gig workers were paid below national minimum wage. Employees aged 16 to 24 will receive relatively low hourly wages. There are established minimum wage standards for employees in four different age groups. However, employees aged 25 and over should be paid £7.83 an hour, according to current UK minimum wage rates (since 1st April 2018 and as of writing this post). Law tutors should keep track of these rates, since they might continue to change. The modern gig economy is creating many new legal challenges. Millions of workers in the United Kingdom are now only employed temporarily. Some law tutors might help their students become more familiar with this emerging labour law specialty. Based on recent rulings, some gig economy workers are eligible for paid leave. However, there are still many unanswered questions about how minimum wage laws apply to gig economy workers. This will create unique challenges for law tutors and students. The employment laws of The UK might change somewhat in response to Brexit. However, the changes should not be dramatic. Many United Kingdom labour and employment laws have always been unique to The UK. It’s also worth noting that some European Union labour rights laws are similar to relevant laws here in The UK. Multiple anti-discrimination laws fall into this category. Law tutors London will help students become familiar with these specific laws, please have a read at our recently published blog, which covers topic regarding Intellectual Property Law after Brexit.